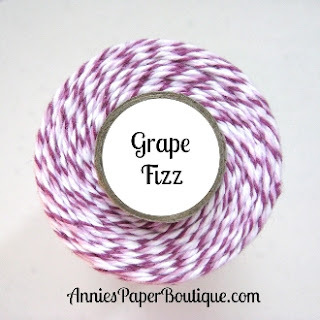 HTB Creations: Trendy Twine -- Happy Spring! Hello everyone! It's my turn to post over at Twine It Up! with Trendy Twine. I made a quick spring card to show you. 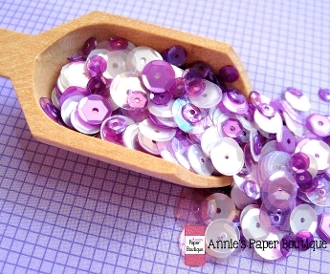 I used Grape Fizz Trendy Twine and the new Grape Fizz Sequins. I hope you stop by Annie's Paper Boutique to grape this fabulous twine and those fun sequins while they are on sale. While you are there, check out all the fun goodies you can get at some great prices! This is such a happy card! I love the twine and sequins! Super cute card! That face on the flower is adorable! Awesome accents with the sequins and twine! Oh how CUTE!Adorable flowers with those cute faces! Such a Happy card! What a super cute and happy card! Awesome colors Helen!